Excellent video!! I watched it 3x in 48 hours…yup, 9 hours of viewing. Such a fun, positive approach. 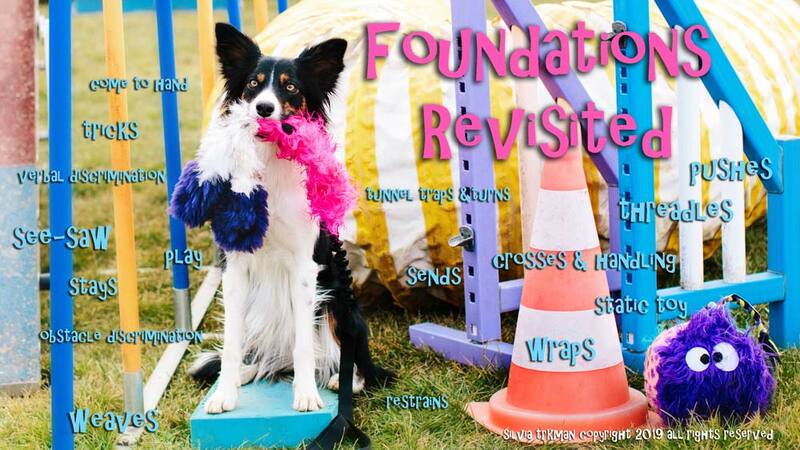 I am retraining a 3 yr BC and a 5 yr sheltie with your method. I have not trained a running dogwalk before. The first week went great!! 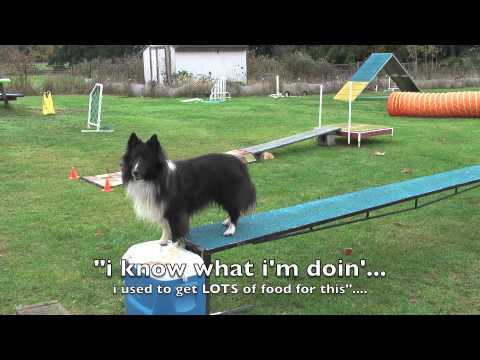 10 sessions in 6 days for the BC and 8 for the sheltie…. Thank You Sylvia for making this available! I know, it’s LOTS of info to process! But very glad to hear that you liked the video and are having fun with your dogs! I’m sure they will LOVE RC! 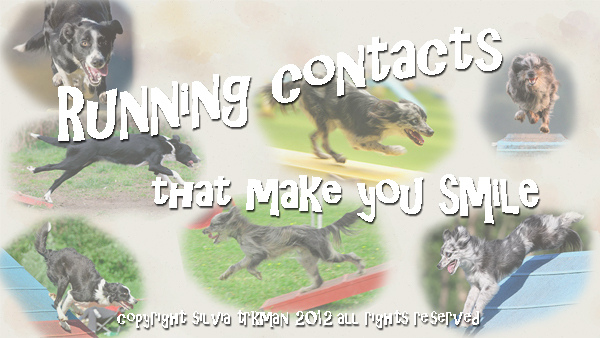 Hi Silvia, I’m thinking of buying your DVD on running contacts. 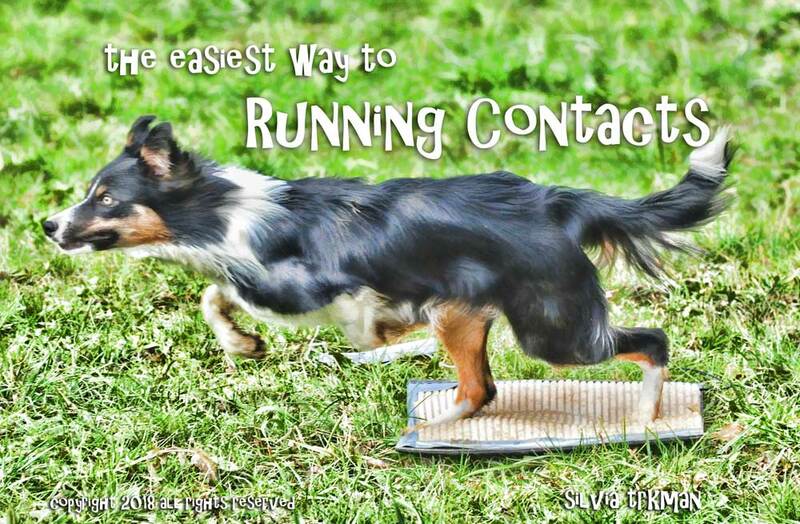 However, I only want to do the Aframe running contact, as my dog (now 18 mths) has a very poor performance on it – a super slow creep downwards. I am happy with her 2o2o dog walk and see saw however. I saw you wrote in another reply “You can try to raise it some and see what you get. The process is a bit different because unlike as with DW, you can’t allow speedy approach to a low AF as the dogs will fly the apex too much.” Would all this be explained in your DVD? Thanks so much, Nicole. Yes, it’s addressed to more detail in the DVD. Basically, flat stage is the same, but once you start raising the AF you need to limit the approach speed to avoid flying over the apex -- and then add speedier approaches again only on almost full height. Lots of useful information about the trainingprocess and I love the troubleshooting parts. You have done a great job with this video! Got many ideas how to make the transition from just straight running to competition performance. Thanks a lot!!! Great! Thank you very much for your feedback, greatly appreciated! Do you go over training 2o/2o and RCs in this DVD? 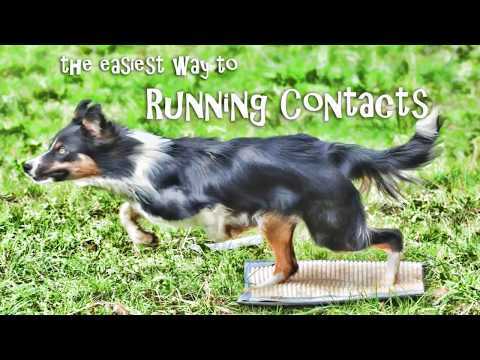 I am thinking of buying your contact training video and have a couple of questions as I am not familiar with your methods and have only seen a couple of videos of your runs. When do you suggest starting to train contacts? Is there a minimum age the dog should be to not cause too much strain on their joints, particularly for the A-Frame? Also what kind of reliability or success rate are you getting on the contact performance during competitions? And are there special training devices needed to train with your method? Also I am getting older, and may have to go to a stopped 2on2off dog walk to try to keep up with my dog. 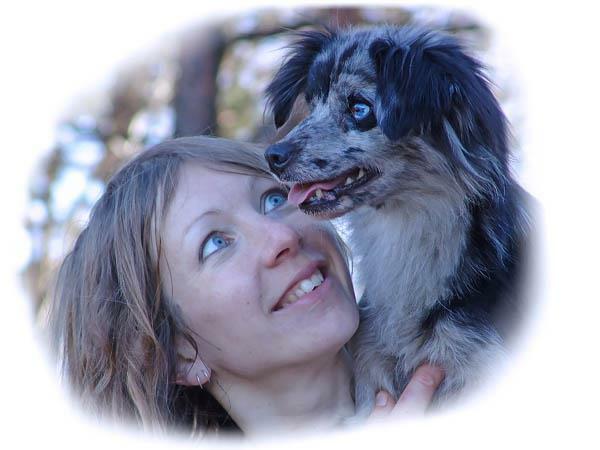 But I am thinking that it would be better to teach the running contact first and change to a held position later rather than vice versa as I did with my now retired dog with mixed results. Do you agree? 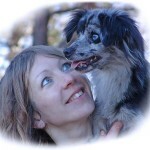 I start flat plank/carpet running at about 6, 7 months -- there is no more strain on their joints for that as for running around with other dogs… I don’t train A-frame at all, it comes for free with running DW -- I introduce it after DW is finished, so the dog is well over a year old, do a session on familiarization on the obstacle and never train AF again other as using it in course work. I’m getting 99% successful rate with my dogs if I don’t count the first year of trailing in -- you normally get some more misses with a young dog who is just starting to trial on different DWs etc. (in Europe, our DWs vary quite a bit in length, material etc.). Unlike stopped contacts, RC only get better&better with experience and my experienced dogs, La and Bu, are actually 100% for several years now. You don’t need anything special no, just enough room to get full speed running. And yes, it’s better to first train RC and add 2on2off later -- you can have both. Thank you!! It sounds great to me. I will purchase in a few days. I started working with a full DW at 12″ today. About half way through the session, I noticed my dog was checking her stride just above the contact in order to hit the yellow. Is this just a passing phase that most dogs will go through? Or should I be very aware of it and be sure to not reward the reps where she checks her speed? The behavior makes its appearance at 1:16 in the video. I’m guessing she is a retrain? We never see stopping like this with dogs who are trained RC right from the start so it’s not really about “trying to hit” but rather “unsure if you want a stop or not” behaviour, so I would NR it yes and make it easier next time to keep successful rate high and confidence up. When she is just running, she is hitting beautifully! For no separation and 6 feet in, NR, as it means she is stopping. With retrains, it’s even more important to keep successful rate high so they don’t revert back to stopping. Two people pointed out to me that Belle is hitting the down ramp twice when she begins from off the DW, but is consistently hitting it three times when I start her from a sit anywhere along the top plank of the DW. Is this an issue I need to address? Or can I just ignore it? Thank you for your patience and willingness to help.